California Democratic Gov. Gavin Newsom ordered the withdrawal of most of the National Guard troops currently deployed at the state’s southern border in a public rebuke to President Donald Trump. “We are not interested in participating in this political theatre. I think it is political theatre,” Gavin said Monday in Sacramento as he formally announced his decision, while blasting Trump’s deployment of National Guard troops along the U.S.-Mexico border. The governor went on to claim that border crossings are at record lows and argued that immigrants commit fewer crimes than native-born citizens. “The whole thing is ludicrous,” he added of the president’s border security efforts. A majority of the nearly 400 National Guard troops currently stationed at the California-Mexico border will be leaving, per the order from Newsom. Troops will be reassigned to other tasks, such as combating wildfires, gaining more intelligence on drug cartels, and growing California’s Drug Task Force. 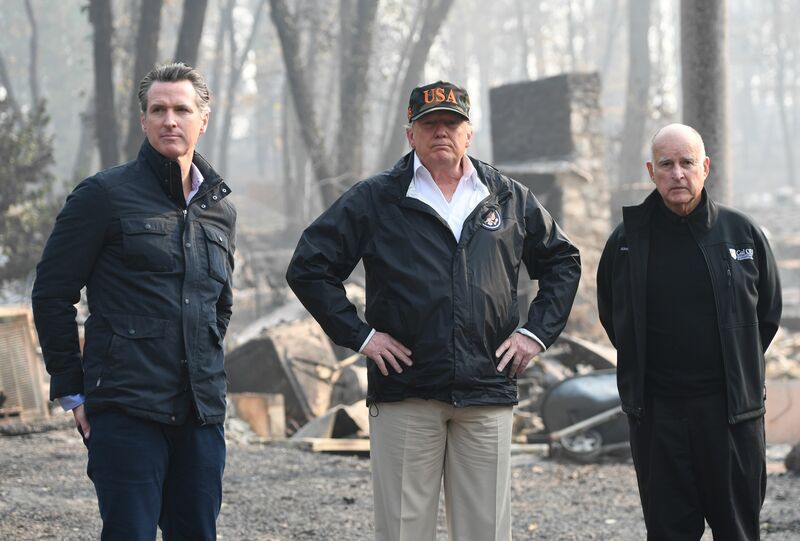 The California governor will only leave around 100 troops to remain at the border. The move rescinds an April 2018 order by then-Gov. Jerry Brown, also a Democrat, with the Trump administration to add 400 troops to the border. The White House at the time had requested governors of border states to aid in security efforts by deploying their National Guard troops. Newsom’s decision to rollback Brown’s troop deployment at the border does not come as a surprise. Newsom had been very critical of the move while on the campaign trail in 2018. The new governor told the California National Guard Adjutant General David Baldwin to get ready for a “menu of options” upon Newsom’s first full day in office. Newsom is following in the footsteps of New Mexico Democratic Gov. Michelle Lujan Grisham, who earlier in February also ordered most of her state’s National Guard troops away from the southern border. Nevertheless, the liberal governor’s order is a symbolic rebuke against the White House’s immigration agenda. Newsom — who has quickly positioned himself as the progressive adversary to Trump — argues that there is no “crisis” at the southern border, and wants to use National Guard troops for other missions.